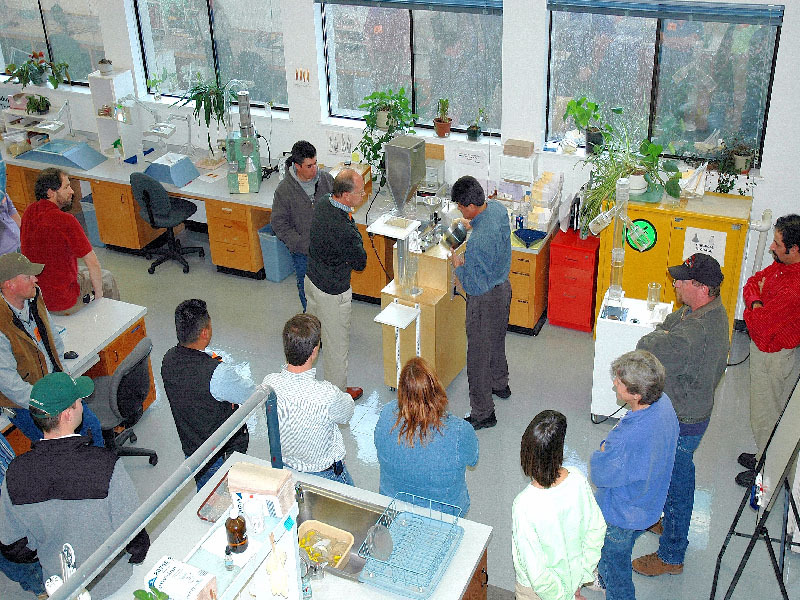 Being part of a major public university which houses many leading educational programs in agricultural sciences, the OSU Seed Laboratory contributes actively in training and educational services. The lab has a long track record of contributing to formal undergraduate and graduate degree programs. The constant contact with a broad range of clients who manage seeds or make seed business decisions such as seed growers, cleaners, analysts, and dealers makes it possible to design the services that respond to current and long term needs. Training is presented in flexible customer-friendly formats, from individual study to group workshops to online courses. All training held in the lab focuses primarily on hands-on experience, accompanied by formal instruction as needed. Another aspect of our educational focus is providing information through technical brochures and seed identification handbooks.